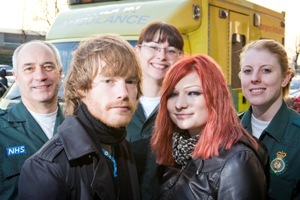 A session drummer has thanked the ambulance staff who saved his life when his heart stopped beating. 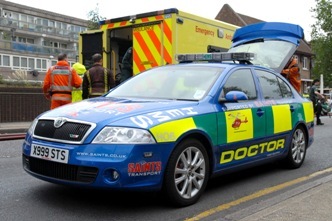 A drunk patient who assaulted an ambulance worker has been sentenced to 12 weeks in a young offenders institute. The London Ambulance Service is pleased to announce that Roy Griffins CB and Caroline Silver have been reappointed as non-executive directors of the Trust. London’s Air Ambulance (LAA) is to be the first in the UK to operate 24 hours a day, seven days a week from 1 March, thanks to increased support from the London Ambulance Service.